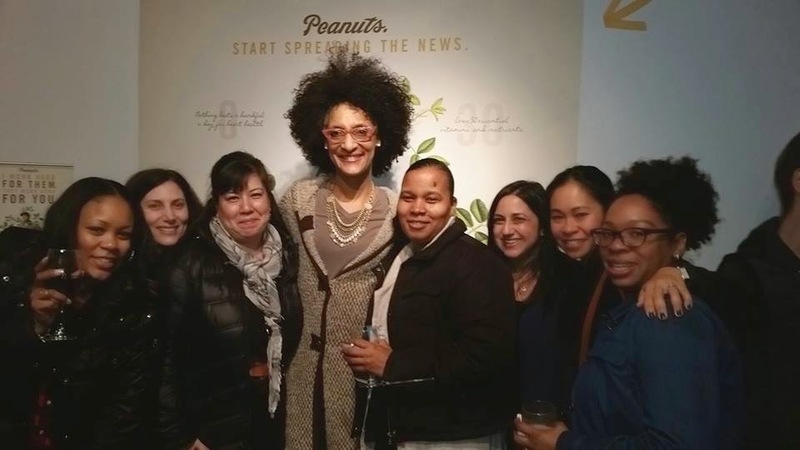 Random Handprints - A NYC Mom Blog... live from New Jersey: A Nutty Night in NYC with #PeanutPower and the National Peanut Board! A Nutty Night in NYC with #PeanutPower and the National Peanut Board! Last night I was lucky enough to be invited to a sneak preview of the Perfectly Powerful Peanut Pop-Up space, which is open today (Tuesday, March 31) and tomorrow (Wednesday, April 1) at the corner of 47th Street and Lexington Ave. from 7:30 am to 1:30 pm, and then from 4:00 pm to 7:00 pm. If you're in the area, definitely stop by for some free, delicious (and healthy!) peanut samples and to meet the peanut farmers who are up visiting and happy to talk with you about life on a peanut farm. It is truly a great experience. I honestly had no idea that the story behind peanut farming was so fascinating, or that the people telling it would be so absolutely charming. If I wasn't so thoroughly incapable of growing even a single Jersey tomato in my suburban garden I would seriously consider moving down south and starting a second career as a peanut farmer. Even though I spent my childhood in a peanut growing state, Virginia, I realized I had never even seen a peanut plant, and really didn't know anything about how peanuts are grown and harvested. For example, peanuts need to be planted every single year, and they need a very specific and warm growing season, which is why almost all U.S. peanuts are grown in just ten states, with fifteen states in all growing peanuts. 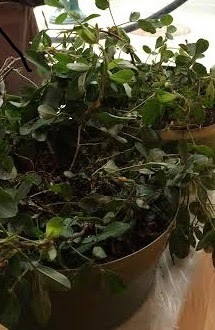 The peanut farmers were very clear when they explained to me there was no way I could grow a peanut plant like this one in New Jersey. In addition to seeing a peanut plant for the first time, I learned a little about how peanuts are farmed (they must always be harvested on a sunny day) and how a hurricane or other natural disaster can wipe out a whole season's crop. One farmer was nice enough to show me photos of his farm, and when I admired the neatly planted rows he explained it's done by GPS now, which makes planting more efficient and environmentally friendly. The GPS comes in handy again when it's time to harvest the peanuts, as the GPS makes it easier to "find" the plants and take the peanuts out of the ground. Another huge treat was trying peanut inspired recipes from Chef Joe "JJ" Johnson, like delicious peanut butter gazpacho and an amazing chocolate peanut tart. You can find all the recipes here, as well as learn more about why peanuts are a healthy and nutritious choice. The Peanut Board was also there to talk about #PeanutEnvy, an important initiative to help feed those in need. Make a donation of $20 or more to Peanut Butter for the Hungry and receive a limited edition Peanut Envy t-shirt. 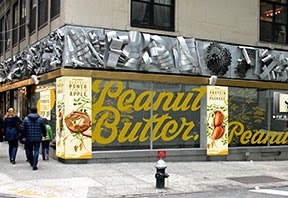 If you're in NYC today or tomorrow definitely stop by The National Peanut Board's Perfectly Powerful Peanut Pop-Up on the corner of 47th Street and Lexington Ave. to see the exhibits, try free peanut samples, and to meet the peanut farmers and their families, who are honestly the friendliest people you will find in NYC. Once you do, you're going to want to be a peanut farmer, too. Thank you to the National Peanut Board for including me in this wonderful special event. I received an event gift bag, which included my all-time favorite peanut butter, White Chocolate Wonderful from Peanut Butter & Co. No other compensation was received and all opinions are my own. I love this! And I'm so jealous you got a chance to meet Carla Hall!